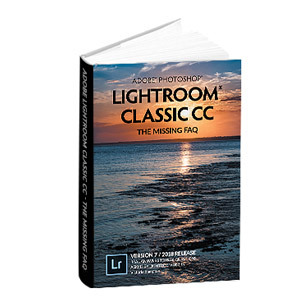 What's New in this Lightroom Release > Lightroom Classic Updates > What’s New in Lightroom CC 2015.13 / 6.13? Open the CC app from the system tray (Windows) / menubar (Mac). Click the … icon in the top right corner and select Check for App Updates to give it a nudge, as sometimes the updates take a while to show up. Alternatively, here are the direct links to the patches: Windows – Mac To install using the patch, download the linked file to your computer, double-click on it to look inside, then double-click on the patch installer app and follow the instructions. THANK YOU! The 2015.13 Update is just what I needed. After all the fuss, I’m sure glad I decided to wait on the upgrade, which was hard to do since I have a D850 and am anxious to get the camera support. You’re welcome Larry! 7.0’s looking fairly stable, but there’s no harm acting cautiously. Thanks for the direct link to the update. My “Updates” always reports that I am up-to-date even when that is not correct. You’re welcome David. I’m not sure they’ll continue to do them in future, but I’ll keep posting them for as long as they do. Thank you! Once again Adobe tries to hide the upgrade. It really seem so childish. I puzzled over this, reading the info on LR Blog. Frustrating! Anyway, your website is wonderful. They weren’t really trying to hide it John. It’s just the way the CC software works, that it hides “older” versions by default, and keeps the latest one on top. Imagine how cluttered it would be if they listed all of the software they’ve ever released… oh, I’m cringing at the thought! I’m really pleased you’re finding the website useful! I do my best! It has been a very confusing week for everyone, I have to agree! Just adding my thanks for the direct links, Victoria. I am on LR 6.8 and cannot update to 6.13! Update via the software tells me I am fully up to date. Trying to install the patch you give the direct link to tells me I am not entitled to that. Adobe help desk person says “we recommend that you do not try to update a perpetual licence”. Going via the ACC desktop app does not show any of my software except to update Bridge (?). I appear to be stuck on 6.8. What a mess. Oh I do wonder at Adobe support at times! No, that’s a load of nonsense. You have a problem with your installation files. Backup Lightroom for peace of mind, uninstall Lightroom, run the CC cleaner app to clear out any gremlins (http://helpx.adobe.com/creative-cloud/kb/cc-cleaner-tool-installation-problems.html) and then reinstall Lightroom from https://helpx.adobe.com/uk/lightroom/kb/lightroom-downloads.html. If you get stuck, post on the forums at https://www.lightroomforums.net and we’ll talk you through it in more detail. Thank you for some sensible advice. Am now on 6.12, but only after windows would not let me uninstall 6.8, and the cleaner tool did not see 6.8 either, but it did clear out all my other adobe stuff (elements). Uninstalled manually and reinstalled okay. Now on 6.13 with no problems. Hooray!! Alas! My pop down list from Creative Cloud does NOT show Lightroom CC (2015) as an upgrade option. It is now October 27th and no change from before. So how do I keep my Lr CC (2015) on my PowerBook from being chewed up by Lr Classic CC? On my iMac it’s too late; I already upgraded to Classic under the mistaken impression that it would leave 2015 alone. The linked patch from Adobe failed with the message to the effect that “this patch is not applicable to you”. I’m running High Sierra on both machines. If you’re not having any trouble with Classic Jack, I wouldn’t worry. Most people are really pleased with the upgrade. There’s a relatively small percentage having issues. 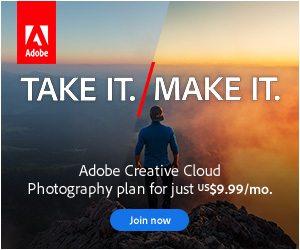 Well, I signed out from, then into Adobe. Voila! The Lr CC (2015) reappeared on the Creative Cloud pop down, whereupon I updated it on my PowerBook Pro. No such option is on my iMac because Lr CC (2015) had already been swallowed by Lr Classic. So now I have 2015 on one Mac (the one I use most for editing) and Classic on the other. It’s juggling time if problems arise. I keep my Picture files on external drives. Many thanks for the advice and encouragement, Victoria. Hi Jack. If you need to get 2015 on the iMac, click on the arrow to the right of the LR Classic open button in the CC app, and there’s an option to show/install older versions. In spite of your site being wonderful (as is your book which I purchased earlier this year) I am still confused as to moving from my perpetual Lightroom 6 to the new 6.13. I have never upgraded from Lightroom 6. Do I choose the third option above (Lightroom CC2015) ? Am still confused. The second button that you suggest refers to lightroom 7. But I want to upgrade from lightroom 6 to version 6.13. As far as I can see it is the THIRD button down. Be very careful with the 6.12->6.13 update. I tried this & it failed, & since then, LR6 won’t open. I spent 3.5 hrs with Adobe yesterday, 2 hrs of chat & 90 min of them messing with my computer remotely. Still no solution, though I have been ‘escalated’ in support level with a promise of contact within the next day. I’m running on a Mac, OS 10.12.6. I’ve been reduced to using Apple Photo, which is very painful. What really annoys me is that a lot of new features were added after 6.0 but were held back until 7.0 for perpetual licence holders. Since, at the same time, Adobe were promising no end to perpetual licences, a lot of people, potentially, missed out on those features because they assumed that they would be able to get them the next time they upgraded. I think the least Adobe could do for goodwill (if goodwill MEANT anything to them) would be to roll up all the missing v6 features in a last perpetual upgrade. I’m sure when they said they had no plans to end perpetual licenses 4 1/2 years ago, they meant it. A lot changes in 4 1/2 years. I do agree there should have been an announcement as soon as they made the decision though. Does this mean that one cannot go from version 6 to version 6.13? If this is true, Adobe should have told us when the first update was available. I have version 6 and was going to update it to version 6.13. No, you can update to 6.13 Michael. The instructions at the end of the post above will get you the right update. I think the big market for Adobe is no longer the same as when Lr launched 10 years ago. It is not the DSLR user who does a shoot, goes home to download and edit, and then prints or otherwise sends to a publishing entity or client. Cellphone cameras then were pretty limited, if you had one at all. Facebook was in its infancy. Instagram didn’t exist. But now, that original market is a pretty small niche. The new market — smartphone users and their ecosystem — is something like 100 times larger. Different needs. Different workflow. Different user expectation. Adobe has to go after that or become another Kodak. Yes, you’re right Michael, so much has changed in 10 years. 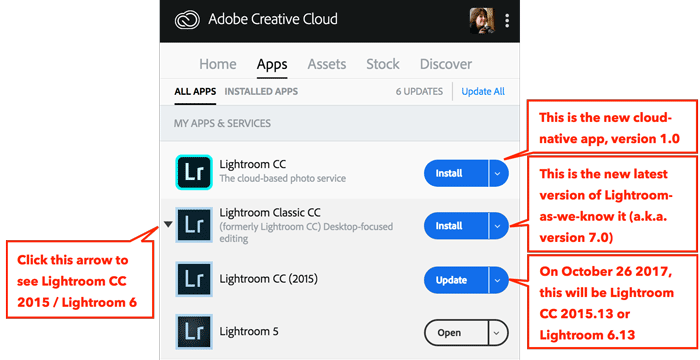 And ok, the new Lightroom CC app is relatively limited at this point, but it takes years to develop complex software, so they need this kind of head start. I’m sure all will become clearer over the next few years. I’m thinking of changing to photoshop photography plan at €9.98 per month. It offers 20g of cloud space. approximately how many photos shot in RAW would this store. And even better, any smart previews synced to the cloud by Classic don’t count toward the 20GB limit, so it’d only be mobile photos taking up cloud space if you’re using Classic instead of CC. The storage impact really comes with CC. If you shoot a DSLR, if you shoot RAW, and if you shoot a lot (like daily or several times a week), it’s very easy to spend more on storage than the subscription itself. Yes, you could. Cloud storage costs aren’t viable for heavy shooters at this point. I upgraded from my current subscription LR to the new Lightroom Classic version (not LR CC) and now it crashes every time I start it up. Suggestions? I went back to the 2015 version and updated that so I could still edit as my older version had somehow lost the synch double arrows. But how do I cahnge those settings if I can’t even get into the program preferences? One thing to try. If it crashes only in the Develop module, it can be the GPU support. It happened to me. Launch Lr. If it opens in Develop, quickly switch to Library to keep it from crashing. The go to Lightroom –> Preferences –> Performance, and uncheck the “use graphics processor” box. Good luck. Just installed the latest Lightroom update and the maps are working correctly again – thank goodness. I keep all my corrections as RAW files with embedded instructions and when I supply pictures to publishers I often re-correct the last iteration as Lightroom and technology show up improvements. I deeply regret Adobe’s decision to go to cloud and find it hard to understand the complacency of many photographers. I would feel the same way if camera suppliers built in the memory on the equipment and you had to pay a monthly fee to access it. A generation is arising that seem not to care that they do not own/possess/control many of the things that they have. It used to be TVs, now it is cars, software, music etc. Manufacturers love the control it gives them. On the bright side, at 70, I am sure Lightroom 6 will still work until I have no need of it. Cheers and thanks for your great advice.